Take a look at a selection of Copco's packaging products released in 2015. 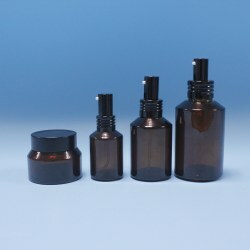 Clear glass bottles & Jars with amber color coating, 30ml 60ml and 120ml glass bottles and 50g glass jar All are molded clear glass items, to be decorated with amber coating. It is luxury for skincare products. Standard neck thread is available for varieties of pumps and accessories options. 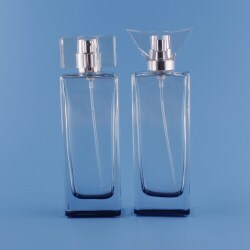 Square glass bottle for perfume, a wide range on volume options, bottle is available for color coating, silk-screen printing and hot-stamping printing. 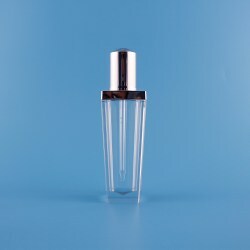 The available perfumery cap could be made of Sulyn, Acrylic, ABS. 30ml PETG bottle with Self-priming dropper The special function of this dropper includes: 1. Unscrew the closure, liquid can entre into the pipette. Once screw the closure, all liquid in pipette will flow out. 2. The ration of liquid in pipette is 0.4ml. This new trigger sprayer without the metal spring, but it has the plastic spring. This new design aims at protecting the content and avoiding having the content react with the rusty metal spring. 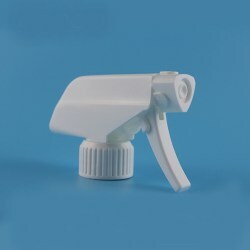 The sprayer is high quality and dispenses evenly. The content can be dispensed fast in a continuous stream. Take a look at a selection of Copco's packaging products released in 2019. Take a look at a selection of Copco's packaging products released in 2018. Take a look at a selection of Copco's packaging products released in 2017. Take a look at a selection of Copco's packaging products released in 2016.